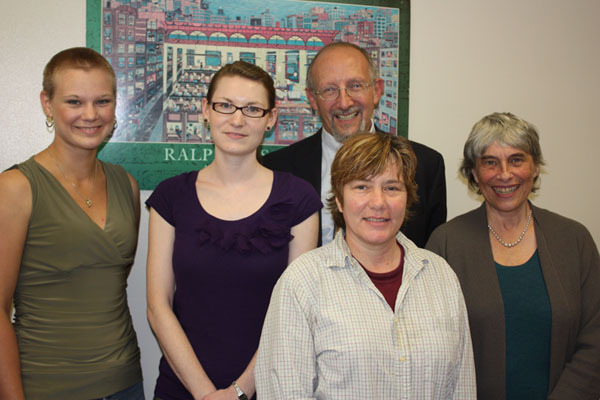 From left: Denise Ireton, Project Manager; Jessie Frazier, Project Coordinator; Tom Dublin, Project Co-Director; Carol Linskey -- Project Coordinator; Kathryn Kish Sklar -- Project Co-Director (September 2009). 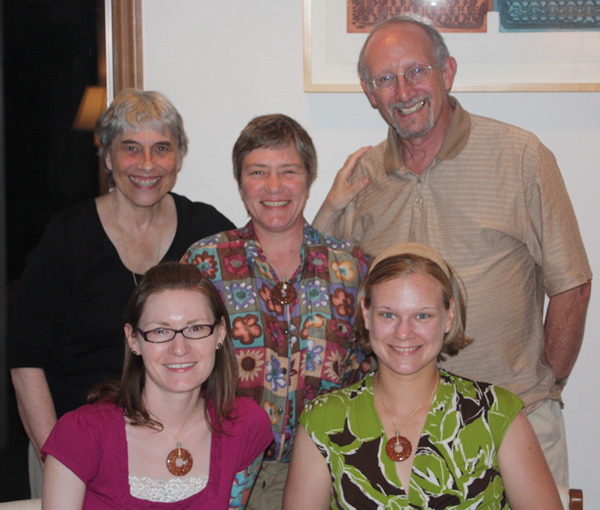 In July 2011 WASM International staff celebrate the completion of the selection process for documents included in the project. Back row from left, Co-editor Kitty Sklar; Project Coordinator Carol Linskey; Co-editor Tom Dublin; Front row from left, Project Coordinator Jessie Frazier; Project Manager Denise Ireton.